Time for my nails!!! 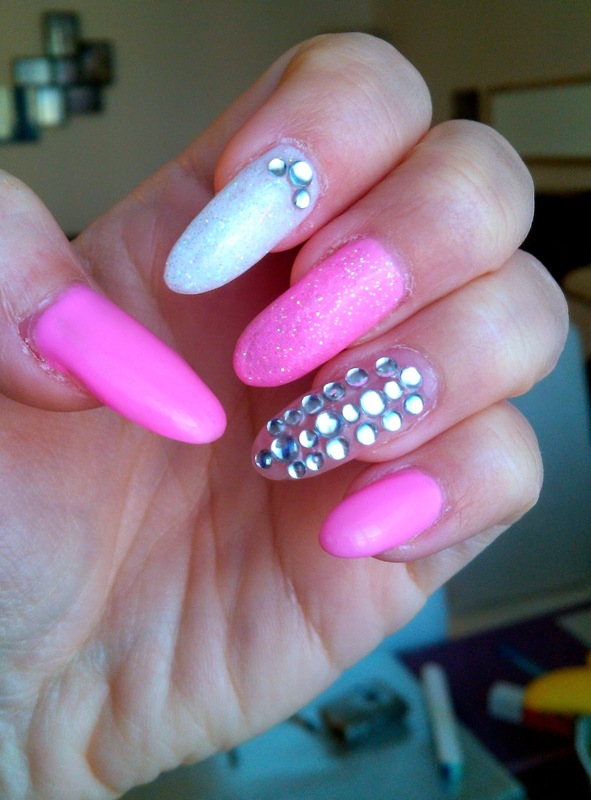 This time they are so girly - pink, white, sparkly and with some rhinestones!!! Of curse they are not all the same, that's to simple for me. And I wanna say that my nails are professionally done, I sad it before but some of you just missed that. I only paint and repaint them myself!!! And I'm aware that they are long but I love them like that, this design is just to serve you as an inspiration, and you can easily do it on short nails too!!! 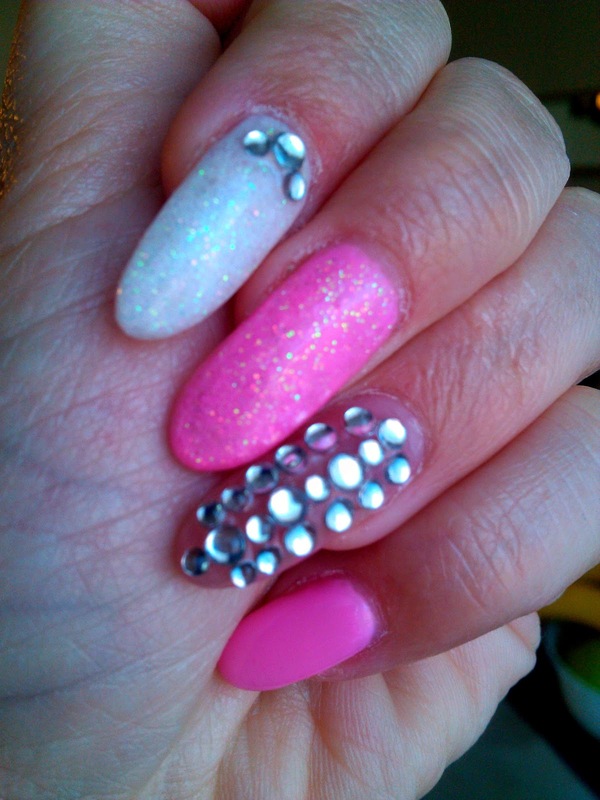 And on this link nails | red-white-and-rhinestones you can see my previous nail design idea!